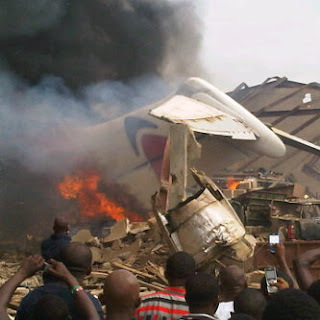 Breaking News: An Abuja to Lagos flight has crashed in the Iju area of Lagos. The Dana Airplane is reported to have had 153 passengers on board and none of them has survived. Africa Independent Television (AIT) reports Harold Demuren, Director General of Nigeria Civil Aviation Authority (NCAA) as saying there are no survivors. Emergency teams and members of the public are already on the scene as unconfirmed reports state that at least 2 houses are on fire as a result of the crash.